Be aware of ever-increasing portion sizes. Take a look at the National Heart, Lung, and Blood Institute Obesity Education Initiative website (part 1 and part 2). It’s a real eye-opener. One example: the bagel. 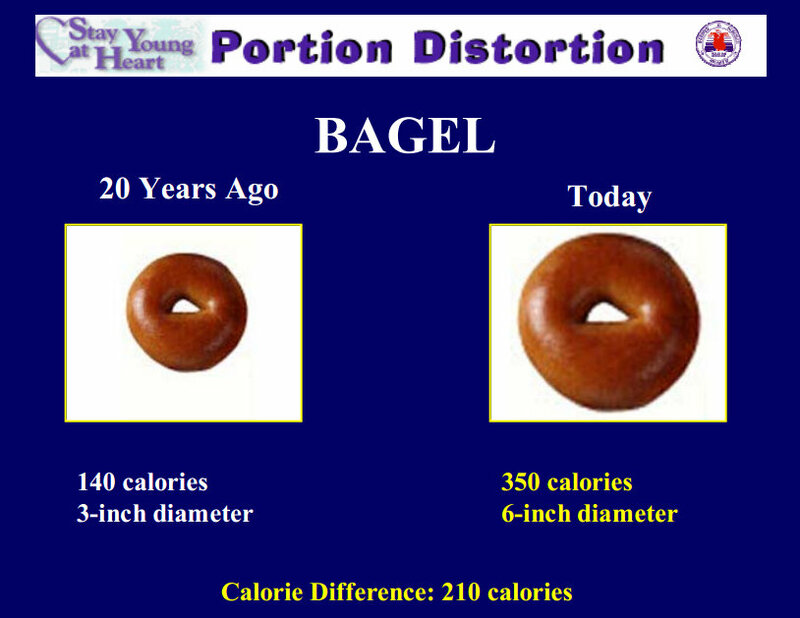 The bagel from yesteryear was 140 calories. Today’s version comes in at a hefty 350 calories. And that doesn’t include the oversized schmear of cream cheese.